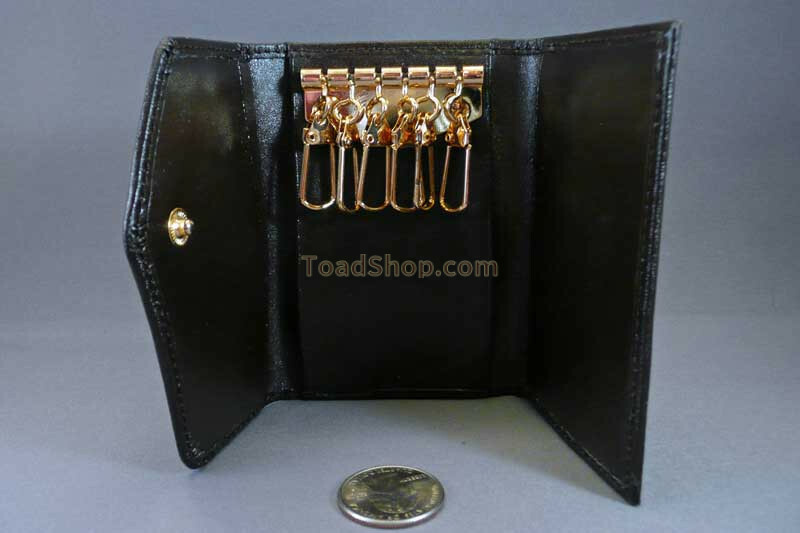 A beautiful Australian Cane Toad leather key case with 6 clips. This Australian Cane Toad leather key holder case reminds me of a key holder my uncle used to carry around back in the 1970's. This may be just the gift for the caretaker of several places who doesn't want to carry the keys on his/her keyring for those once in a while visits to check on someone's property. 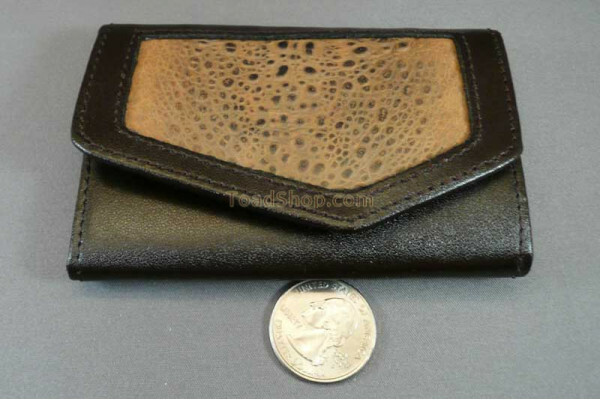 This key case is made of dark brown cowhide with Cane Toad leather inlaid to make a beautiful case that will last for years.